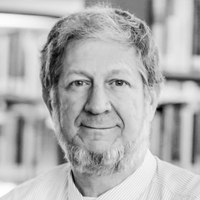 David Keyes is the director of the Extreme Computing Research Center at King Abdullah University of Science and Technology, where he was a founding dean in 2009, and an adjoint professor of applied mathematics at Columbia University. Keyes earned his BSE in Aerospace and Mechanical Engineering from Princeton and his PhD in Applied Mathematics from Harvard. He works at the algorithmic interface between parallel computing and the numerical analysis of partial differential equations. He is a Fellow of SIAM and AMS and has received the AMC Gordon Bell Prize and the IEEE Sidney Fernbach Award.